This is a lovely brush. Soft nylon bristles fine enough to get in the grain of leather and soft enough not to scratch the surface. It works perfectly with our Leather Soap. Customers have reported to use this brush on head lining, and convertible hoods. 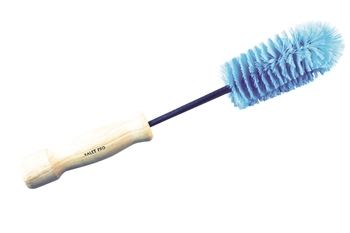 This brush is a more practical addition to your upholstery arsenal. Most upholstery brushes are difficult or impossible to use around pedals and between seats and doors. This thin design and the unique long bristles agitate these hard to reach areas perfectly. The bristles are hard wearing and the length and thickness are also perfect for agitating seats and carpets. (For head lining we recommend using our leather brush as this is much softer for this delicate surface). 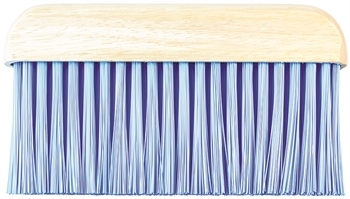 This was our first chemical resistant brush which has been made to a great quality. A smooth finished wooden handle of a good size that feels comfortable in your hand. The bristles are long lasting and retain their shape well. This is a great brush we have been selling for many years now. 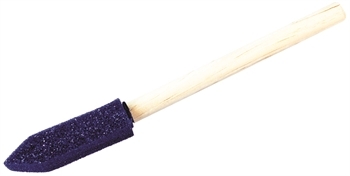 Just like our wooden handle version this has highly durable bristles. These are great for gently agitating wheels with strong chemicals. 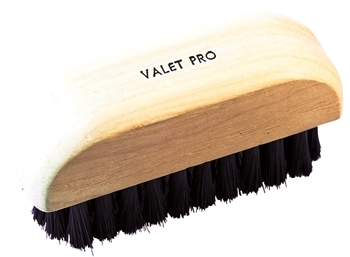 Also using man-made chemical resistant bristles, this brush was designed as an upgrade to our original Dash brush. Ultra fine bristles and improved length makes this brush a great product for dusting vents and crevices where cloths find it difficult to clean.